Gospel artiste born Esther Abena Nyarkoa Prempeh and known by her stage name Lady Prempeh has let out the fact that the main aim of gospel music is not to make money but to win souls for Christ. 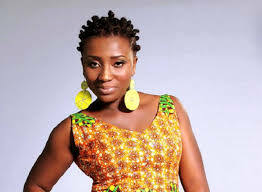 Lady Prempeh, who has been in the music industry for the past decade, has collaborated with a number of celebrated gospel artistes in the country and has plans of collaborating with artistes such as Kuami Eugene, Kurl Songx, Okyeame Kwame among others. Lady Prempeh looks poised to take her place again in the ever-changing Ghanaian gospel music fraternity with a list of refreshing new songs.